This, he said, had seen him withdrawing from the race. “I am no longer able to continue participating in the current congress. I have raised my concerns to the chairperson of the Independent Electoral Commission, ZCTU led by Mr Japhet Moyo but nothing was done. I therefore, had to withdraw because I do not wish to see the party divided,” said Mr Mwonzora. 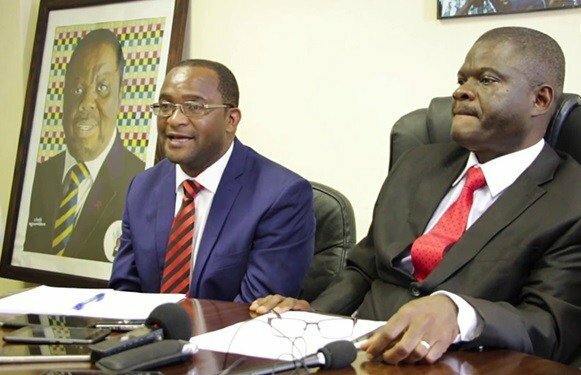 Asked why he announced that he would contest the post of the secretary general, Mr Mwonzora said the statement was based on his desire to respect those who had nominated him to that post. “There are internal but there are a number of concerns that I raised but were not addressed,” he said. “Other issues were that congress was being held at night under unsafe circumstances. Another thorny issue raised in the letter was that other candidates were not being allowed to contest. There was also a lot of violence perpetrated on those perceived to be against Chamisa,” said the source. MDC Alliance spokesperson, Mr Jacob Mafume said in some instances they had to change venues because of adverse weather. “There is nothing called change of venue and transport challenges at a congress. We are all aware of the fuel situation in the country. We are all aware that it had begun raining therefore, people can choose to go to a sheltered place.